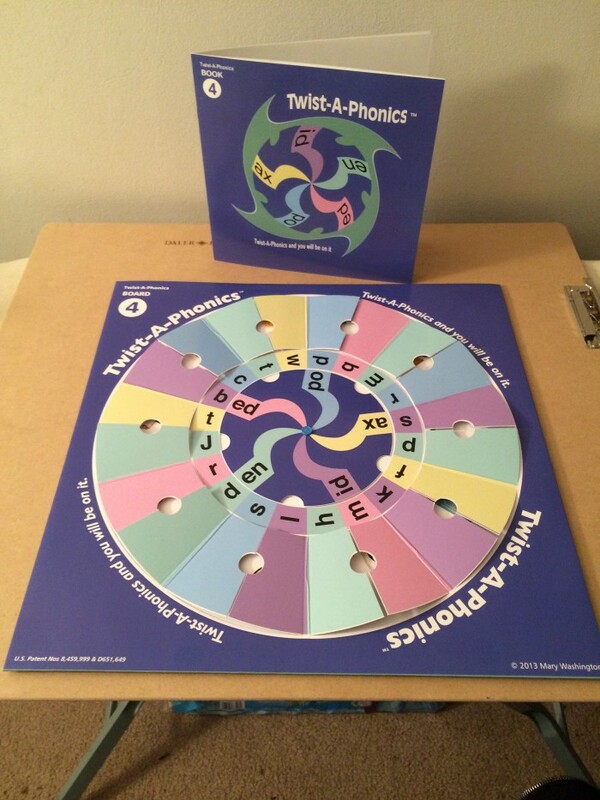 A phonics education apparatus, comprising a first word-constructing member (12) and a second word-constructing member (14). The first member has a first plurality of word fragments (20), each of which is plainly identified by indicia (16). The second member has a second plurality of word fragments (22), each of which is also plainly identified by indicia (18). The indicia of each of the second plurality of fragments is different from each other and matches the indicia of at least one of the first plurality of fragments. The matching indicia signify that a word is to be formed from the word fragments identified by the matching indicia. Either or both of the members are movable, enabling any word fragment of the first plurality of fragments to be paired with any word fragment of the second plurality of fragments. ; Accordingly, the formation of words is guided by the indicia of the word fragments. The indicia are preferably colors. 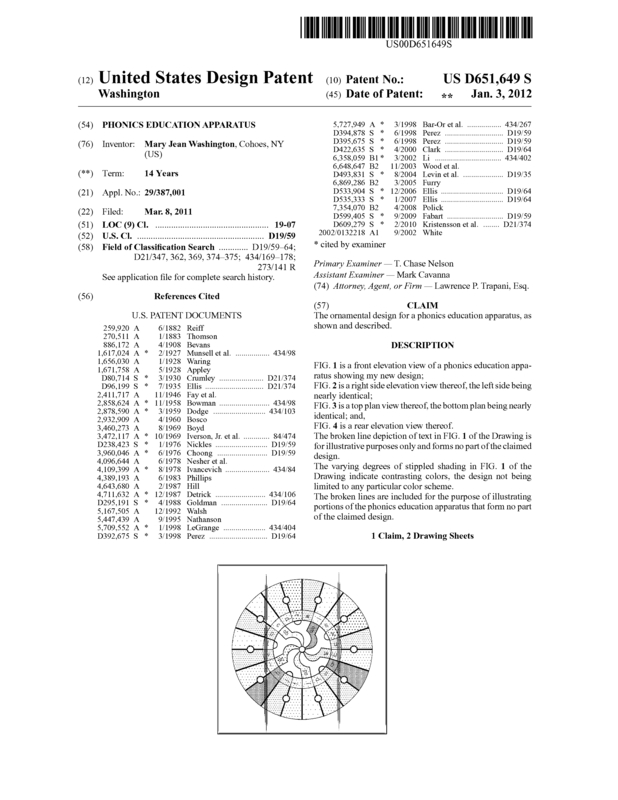 This utility patent 8,459,999 and design patent D651,649 are for an outright sale as a package. 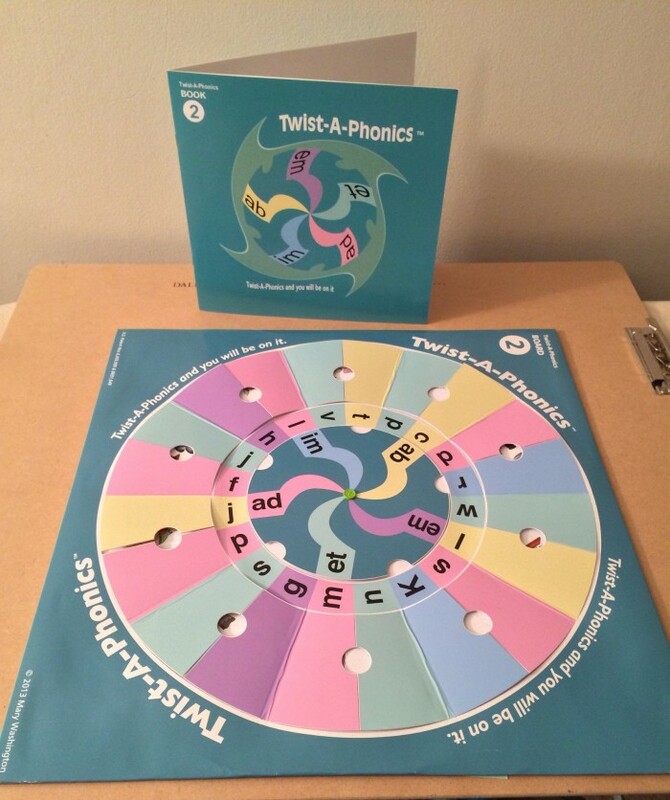 The four niche markets are (1) Primary: The teachers of 8,403,912 million American children (aged 5-6) who absolutely must know a certain group of phonogram words and sight words before the Second Grade. (2) Secondary: The parents, grandparents, aunts, uncles and godparents of 8,667,424 million American children (aged 2-6) who want them to be well prepared upon entering Kindergarten. (3) Tertiary: The (9,082) Public Libraries, and the (98,460) School Libraries who want to make this resource available for children (aged 2-6). (4) Quaternary: The Caregivers, Day Cares, and Preschools who want to make this resource available for children (aged 2-4). 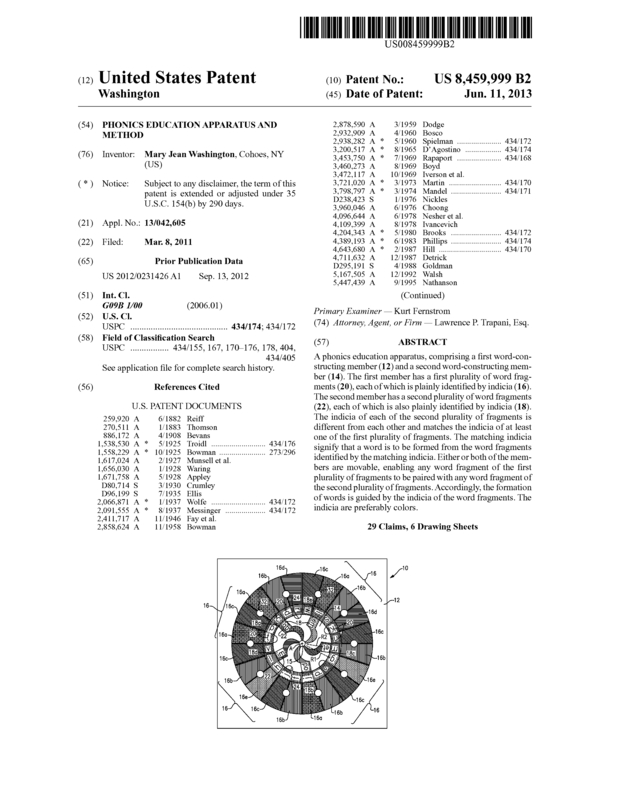 Page created at 2019-04-25 10:02:36, Patent Auction Time.